In medieval Japan a compassionate governor is sent into exile. His wife and children try to join him, but are separated, and the children grow up amid suffering and oppression. There are better movies of two hours length. I loved the actress'performance. SANSHO THE BAILIFF is a magical, historical period drama that at any moment can break the human heart. The Film is set in Heian period in Japan. Slavery was permitted. The story describes the family of one of the court officials who, because of his honesty and integrity, was sentenced by superiors. His wife has cheated, kidnapped and forced into prostitution. His son and daughter have become slaves at the notorious and cruel Bailiff. The young man, after growing up in the camp, becomes the chief aide to his master, but his sister and cruel circumstances force him to face his own conscience...The scenery is extremely rich. The costumes symbolizes the social status and human personality. It is amazing how the change in the character of the main protagonists depends on the social status. However, the family is most important in this film. Perhaps even more than social sacrifice, which mainly affects women, regardless of age. 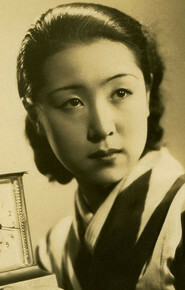 The mother, who is in the greatest pain for lost children, creates a song, a daughter, who takes her own life in order to provide her own brother an opportunity for new life, are parts of identity of Mr. Mizoguchi.The protagonists are emotional, they suffer and live out of necessity, regardless of the realization of the ideals that they carry within. This film can be seen as a tragic history of one family. The film is rightly named after the main villain, because he is in the middle between two worlds.A film about morality, love, family, duty and compassion that at times is breathtaking. A family torn apart during the oppression of medieval Japan struggles to survive and reunite in this powerful film by Kenji Mizoguchi. What makes "Sansho The Bailiff" so powerful is the bond between the brother and sister who were sold as slave workers at an early age, and the hardships they endure over the years. The mother was sold separately as a prostitute and longs for the return of her children. Though, the distance between them is large, they are bonded by love and an everlasting drive to reunite. I would be lying if I said this is not a dark film. This is a very dark film but underneath the darkness lies a perpetual beauty. I was genuinely in awe of the cinematography of this film. This is definitely one of the finest looking films ever. From beginning to end, every single frame is a work of art and brings color to the black and white. One scene that comes to mind is the mother, son, daughter and servant making a shelter underneath a tree. The way the scene plays out as the camera follows the children back and forth while they happily gather brush for the fire is one of the only lighthearted moments in the film. They are unaware of where they are going but they have each other, for now. Japan is quite a magnificent land and since this film is a period piece, it was mostly shot on location and the sets/props to be as faithful to the original source as they could. I found 'Sansho' to be very sincere in that respect. The performances are all extremely good and seemed reminiscent of classical theatre, which gave it a very genuine feel. I would not be surprised if all of the actors were classically trained theatre actors. 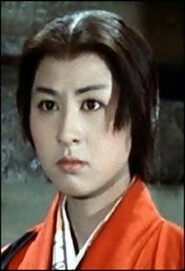 Yoshiaki Hanayagi (who plays the son "Zuchio") is the main hero of the story and he shines in the role. After a decade of living under the rule of Sansho the bailiff, Zuchio becomes complacent in his role as a slave and in his own words decides "it is better to get on the bailiff's good side than try to escape and become a beggar or bandit at best." much to the dismay of his younger sister Anju, who urges him to remember their dream of freedom and reunion. These differing perspectives lead to conflict among the pair, which is depicted in such a way that we understand both sides and never lose faith in Zuchio realizing his destiny. Kenji Mizoguchi definitely has a style of his own and utilizes it to bring to life powerful human stories. 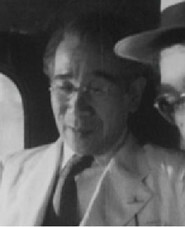 The music was composed by the great Fumio Harayake, who also worked on "Ugetsu" and many other classics. His score for "Sansho" perfectly accompanies the films atmosphere and enhances the emotions evoked. Mixed with the wonderful cinematography and brilliant storytelling, you are left with a masterful film all the way around and I recommend it to everyone who appreciates good cinema in general. I lost track of time during the 2 hour run length because the story had me so involved and caring about what happens next. This film exceeded my expectations - breathtaking and visually stunning - what a wonderful film! The ending will leave you in tears. 10/10 ps - The title may be misleading. "Sansho The Bailiff" is not actually about Sansho the bailiff. He is an important figure and the film's main "villain" so to speak, but it is ultimately about the separated family. This is one of the most canonically celebrated films that I had, until a couple of days ago, never seen. It fully lives up to the hype- this is a profound and moving work of the highest aesthetic accomplishment. I really like Mizuguchi's "contemporary" films about women in post-war Japan. But his period pieces are far more visually sumptuous. As with Ugetsu, the landscapes in this film are stunning: comparable and clearly indebted to museum-worthy Japanese scroll painting. The first quarter or so of the film is a series of flashbacks of a genuinely benevolent, both personally and politically, patriarch recalled from a feminine present of compromise and scarcity. A truly horrifying, if unforgettably beautiful, kidnapping on a lake transports us into a reality in which hope, and memory, seem proscribed. From this space of subjection will come the world most familiar to us- one in which there are, indeed, acts of altruistic self-destruction, and even of effective decency, if motivated primarily by revenge. Ultimately peace and justice, represented by the Father seen only in flashback, seem like fantasies in the minds of the tormented. Our world is for suffering. In medieval Japan a compassionate governor is sent into exile. His wife and children try to join him, but are separated, and the children grow up amid suffering and oppression.Others have pointed out that this film bears Mizoguchi's trademark interest in freedom, poverty and woman's place in society, and features beautiful images and long and complicated shots. If anything sums up Mizoguchi it is gynocentricity and long takes.Notice that film critic Anthony Lane wrote, "I have seen Sansho only once, a decade ago, emerging from the cinema a broken man but calm in my conviction that I had never seen anything better; I have not dared watch it again, reluctant to ruin the spell, but also because the human heart was not designed to weather such an ordeal." How do you follow that up?